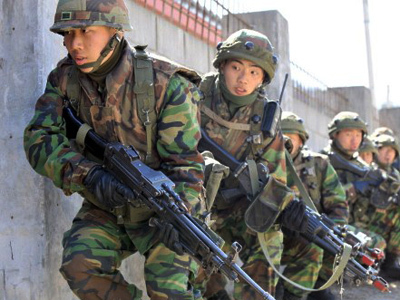 South Korea and the US have begun controversial annual joint military drills. The war games involving hundreds of thousands of troops are being held despite North Korea's calling it “provocation” and threatening with retaliation. ­The military drills, entitled Key Resolve, are starting Monday and will last until March 9. About 200,000 South Korean and 2,100 American troops are taking part in the war games, which involve both ground and navy forces. Separately another joint exercise, Foal Eagle, will take place between March 1 and April 20. It will include Korean and some 11,000 American air forces personnel. The Combined Forces Command said the drills are “routine and defense-oriented”. Australia, Canada, Denmark, Norway and Britain are also taking part in the exercise as part of the command. On Sunday, North Korea’s new leader Kim Jong-un, who succeeded his late father Kim Jong-il last year, has inspected frontline units of the country’s armed forces. He called on his troops to be prepared to deliver a retaliatory strike if provoked. The South’s military drills are a tricky issue amid the decades-old hostility in the region. Any massive deployment of troops cannot help but make the North’s generals suspect that it could be a smokescreen for an actual attack. The tension is prone to incidents like the November 2011 attack on Yeonpyeong Island, when North Korean artillery shelled South Korean territory in what they said was response to South’s shelling of North’s territorial waters. 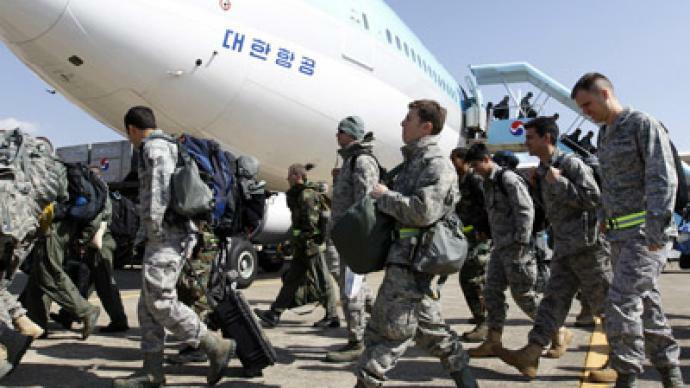 This year’s exercises are the longest held so far by the US and Korea, scheduled to last for more than two months. Washington and Seoul are cornering Kim Jong-un, which may harm the negotiation process with Pyongyang, believes Ruediger Frank, an expert on North Korea and East Asia at Vienna University. “I am really concerned because we have a new leader in North Korea, Kim Jong-un, with whom we have no experience whatsoever and with whom we have a chance to open some new avenues for cooperation and for resolving all those pressing issues we have on the table,” he told RT. “By telling him ‘We don’t care. We neither quit nor shorten these exercises, we will actually expand them,’ we sent a wrong signal. 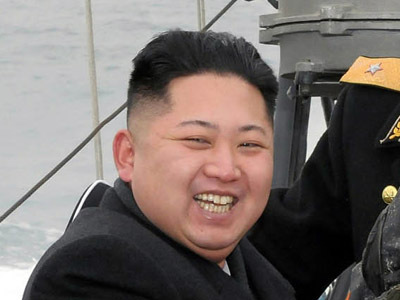 North Korea responds the way it was expected to – issuing harsh statement and using the terms like ‘war’ and ‘annihilation’ etc.,” he explained. The beginning of the drills comes just days after talks between American and North Korean diplomats in Beijing. 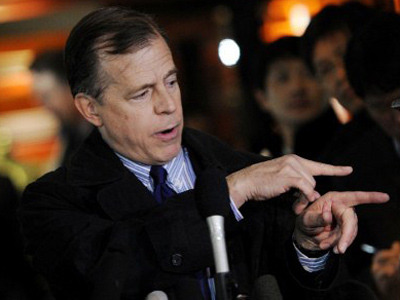 The US regarded the meeting with optimism.